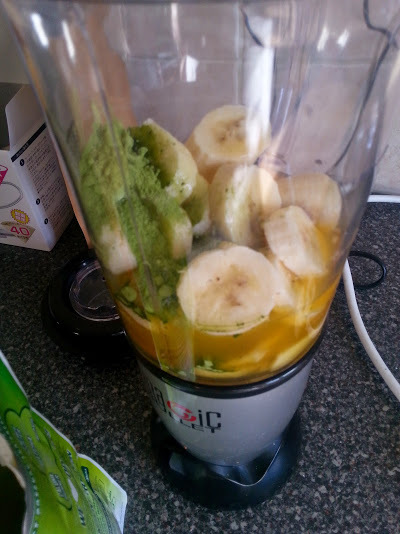 Food| Matcha Green Tea Smoothie! 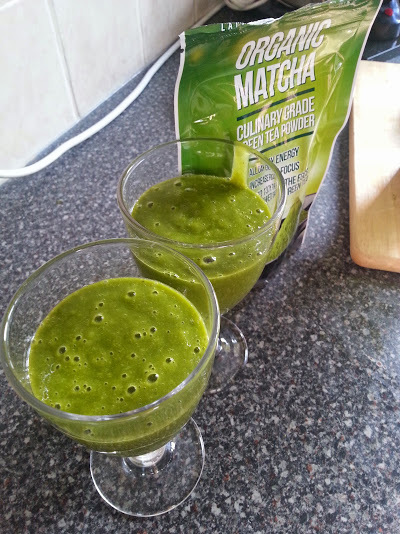 I am a big lover of green tea, but more recently I have been loving Matcha green tea, something a little different! 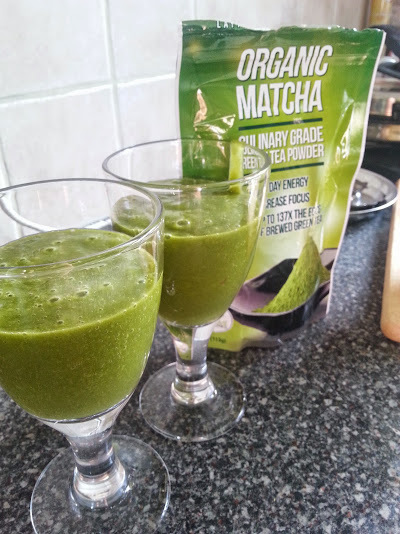 And the possibilities of what you can do with Matcha green tea is amazing, and I have become obsessed, so I thought I would show you my favourite smoothie recipe! 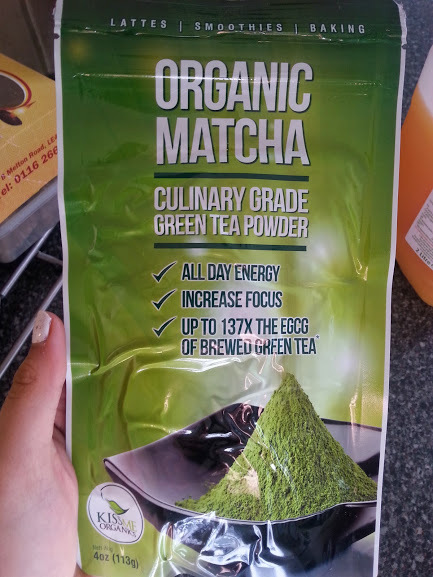 It's a green tea that is organic and has been ground down to a fine powder. It also has some amazing benefits such as being really good for fat burning, a great pick me up when you want to feel much better and my favourite benefit - its great for relaxing and relieving anxiety and stress. You can literally add the powder into anything you want, to give it a different taste! From cocktails, waffles, desserts, pizza, dips soup and so much more! I think it is a unique product that can be experimented with for ages and take you on your own food journey! When you order the Organic Green Tea Powder from Amazon*, you shortly receive an email with a recipe guide - what an amazing service! - Enjoy with some ice! You can buy Matcha Green Tea HERE. I've never even thought to make a smoothie with matcha before, but I am a big fan and I use it to make shortbread quite a lot! Its delicious!! And ooh that sounds yummy!